Flash grieves over the dead body of Green Lantern (Jessica Cruz). The scene cuts again and again, until Flash comes to realize that he's caught in a time loop. 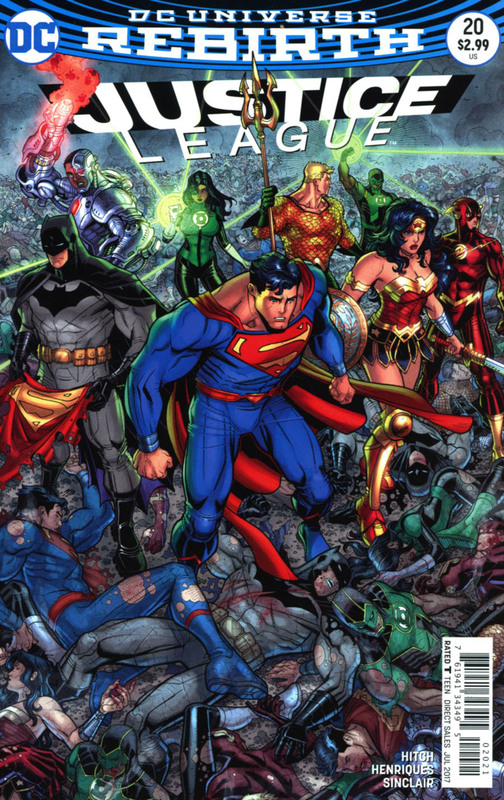 He informs the Justice League, and together they look to stop Green Lantern's death, and all things connected to it, only for Flash to discover, he may be the cause of it all. The perspicacious reader will see that Bryan Hitch has been watching The Flash tele-series. Time travel and the Flash just don't mix. Barry Allen is responsible for whole timelines and worlds disappearing, and the acts just keep coming. The saving grace of this time made mess, is the pacing and structure that Hitch uses to execute what would otherwise be a thrice told tale. En Medias Res draws the reader in quickly, and the shift from scene to scene, which expands the contracted loop of time, and thereby expands the knowledge of the reader, makes for a page-turning experience. The decision to pace the story as done, allows for Flash not to be the guide through the story, but the reader's companion. Flash learns what is going on with the same speed as one turning the page, and while the slight reveal is not ultimately surprising, it is well done, nonetheless. 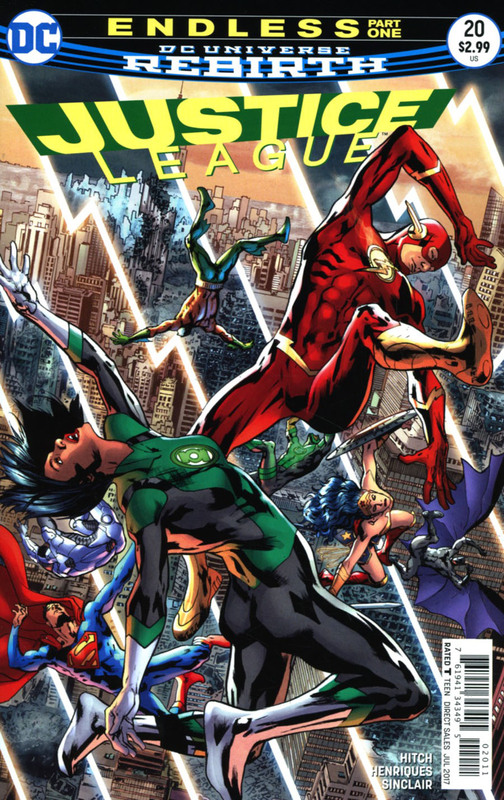 There are some structural challenges in engaging the Flash, of all characters, in such a manner, but Hitch avoids them for the most part, focussing more on movement, and less on speed, which is the ultimate downfall of any long term Flash tale, especially one attached to the Justice League of America. With the exception of Superman, the Flash is a very challenging character to craft stories for. A look at one hand will show him plagued by a clever Rogues Gallery, while the other shows him capable of speed that allows him to predict the actual future. The latter Flash should have no problem in such a story. He would disarm the villain, save Jessica, and have dinner ready by 6. The key to the Flash is always in movement, not speed or running, but movement. Speed will become hackneyed and trite in a flash (no pun intended... maybe), leaving creators to dream up yet another Speedster, another feat, another Flash Fact. Movement allows me to enjoy the Flash's adventures and how he applies his abilities to them, rather than him being a character ready to become one with the Speed Force a la Kingdom Come. Art - 3: Something about Hitch's art seems unfinished here, and it's probably how he's being inked. The fullness of his pencils, and can be seen in his Ultimates and JLA work, just seems lost here most of the time. Cover Art - 3: Average fare. Enjoy if you will. Variant Cover Art - 5: Ominous and awesome!